The Canadian investor owns 41 pct of African bank Atlas Mara. Given Bob Diamond’s outfit just made a half-year operating loss, the risk is a re-run of Watsa’s awry Greek bank bet. Still, stabilising commodity prices means there’s more chance Watsa has bought in at the bottom. 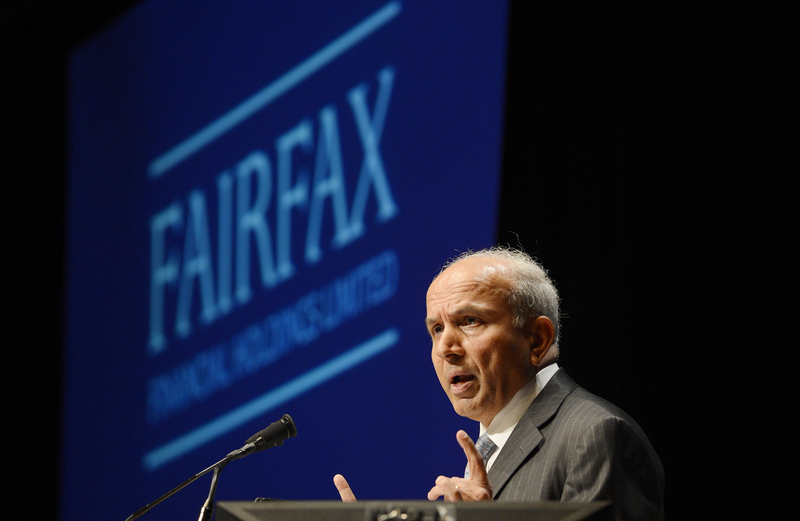 Fairfax Financial Holdings Ltd. Chairman and Chief Executive Officer Prem Watsa speaks during the company's annual meeting in Toronto April 11, 2013. London-listed Atlas Mara reported a net profit of $28.6 million for the first half of 2018, compared to $11.5 million in the previous year. That equated to a return on equity of 7.6 percent, up from 4 percent in 2017. The African banking group, which was founded by ex-Barclays bank CEO Bob Diamond, has struggled since it was listed in 2013 thanks to a commodity price slump which led to declining economic growth in Africa. In June 2017 Fairfax Africa, headed by the Canadian investor Prem Watsa, committed to buy a 35 percent stake in Atlas Mara. Diamond, Atlas Mara’s chairman, said he remained “cautiously optimistic” about the future. Atlas Mara shares rose 2.1 percent to $2.40 by 1430 GMT on Sept 5.